Hummer is a brand owned by General Motors that produced SUVs based on GM trucks in the 2000s. Prior to GM’s ownership, the brand was a division of AM General, (a division of Chrysler) focused primarily on manufacturing the H1 Hummer, a civilian version of the Military Humvee. 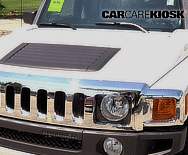 Under GM’s ownership, the Hummer H2 shared GM’s Tahoe platform and high output V8 engine. However, the H2 had unique body panels and interiors. The H2 was a prodigious consumer of fuel – at a rumored 8 – 10 mpg, it was the ire of many of the conservation-minded for its poor gas mileage. Many Hummer H2 SUVs are featured in rap videos with oversized rims (wheels) and the H2 is often lengthened by coachbuilders for use as limousines. 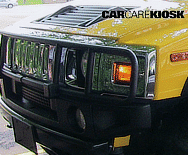 The Hummer H3 and H3t SUVs are based on the Chevy Colorado / GMC Canyon platform. These featured inline 5 cylinder engines (the H3t is the turbocharged version) and had better fuel economy than the larger H2. The HX Hummer concept car debuted in 2008, which would have been smaller than the H3 (and presumably more fuel-efficient), but was never sold commercially. GM unsuccessfully attempted to sell the brand in the late 2000s and has since shut down the brand and ceased manufacturing. The last model year for the Hummer was 2010.